For a limited time, seller will pay ALL closing costs & pre-paids. Ask about our free designer package! This spacious open floor plan has a lg designer kitchen w/ granite tops & a large island. Main Level Master Suite! Great location! Only minutes to Winston Salem, Forsyth Medical Center, Wake Forest Baptist Medical Center, and more! New, highly-ranked Oak Grove Middle & High, Friedberg Elementary School District. 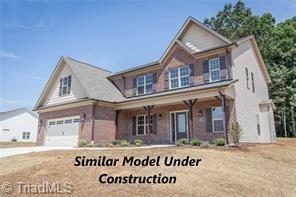 Model Home Open Daily! Please direct all communication to co-list agent Crystal Hatcher.